The Malahat Review congratulates Nancy Holmes on winning the 2017 Constance Rooke Creative Nonfiction Prize. Her entry, "Flaubert's Hummingbirds," was chosen by final judge Brian Brett from over 120 entries. 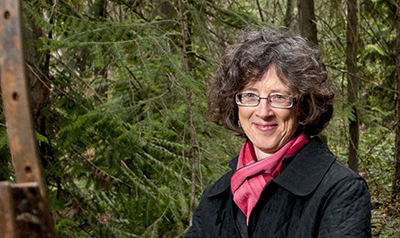 Nancy Holmes will receive publication in the Malahat's Winter issue, and of course, the grand prize: $1,000! Of Holmes's story, Brett said: Any writer with the nerve to take on Flaubert’s research obviously has courage and also, as this essay demonstrates, the skills and the lyric, luminous prose capable of tackling such a subject. The most legendary stylist in European fiction, Flaubert once famously claimed that he spent all morning inserting a comma and all afternoon removing it. His research was almost hilariously obsessive and, as “Flaubert’s Hummingbirds” suggests, he was capable of planting research traps for pompous readers. The irony and beauty in this short essay actually capturing Flaubert flatfooted and wrong (and I researched its premise too) is what makes it a prize winner. After having judged the blind submissions by the finalists, I was especially delighted to learn that “Flaubert’s Hummingbirds” is by Nancy Holmes, whose work I’ve admired for years. This is a fine essay that reminds me of Montaigne’s forensic and meticulous adventures in the essay form. Congratulations to Nancy! Congratulations to Nancy Holmes, winner of the 2017 Constance Rooke Creative Nonfiction Prize! An interview with Nancy Holmes on her CNF Contest win will appear in the January 2018 newsletter. "Flaubert's Hummingbirds" will appear in the Malahat's Winter 2017 issue (#201).